Now you can post your comment on each of the songs in our album archive. Simply select an album in the "Recordings Revisited" section and click on a song title. Below the current rating summary you'll find the submission form. Please respect the netiquette, non-song-related postings will be deleted. On the page "Song Comments Archive" you'll find an overview of all posted user comments, chronologically sorted by the album's year of release. Click the link next to the song title to view the related comments. 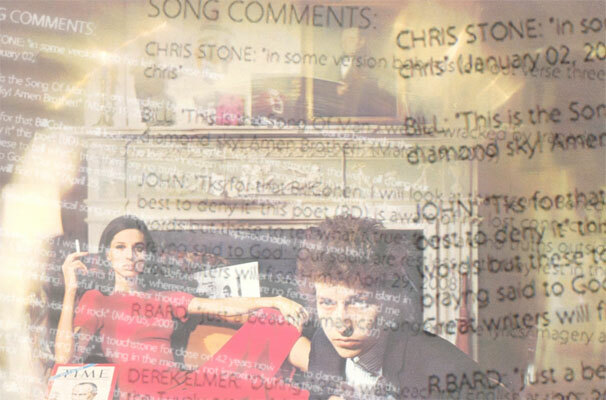 UPDATE: You can now post your Bob Dylan song comments and ratings directly on the new tweedlr.com, they will then also appear right here on PBD.